One of the main problems with the use of UAV to record archaeology and cultural heritage is the amount of time that they can stay in the air. This is linked to the limitations of the current LiPo (Lithium-ion polymer) battery technology. The increasing use of sensors and companion computers on-board also adds to the drain on batteries during flight. In many cases it is solved by simply having a number of batteries, but of course this is costly with many of the smart batteries for commercial UAVs costing over £100 each. Larger systems can have up to 6 batteries on them allowing extended flight times but costing circa $1,200. 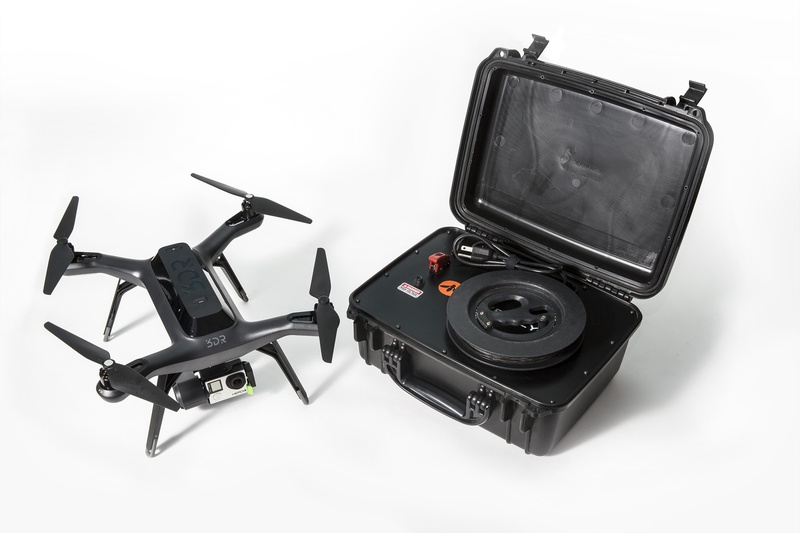 With smaller systems this means that the survey needs to stop and start while the UAV lands and takes off adding time to a survey and requiring overlapping of the survey so that nothing is missed. There are a number of developing technologies that can aid in this problem. A number of developments in battery technology are being made driven by the technology industry, car industry and Formula E Racing that improve on the Lithium-ion technology that is currently employed. Developments at the Pohang University of Science and Technology in South Korea could double the power of current Lithium-ion technology by combining porous stainless steel with thin-film electrolyte and electrodes. 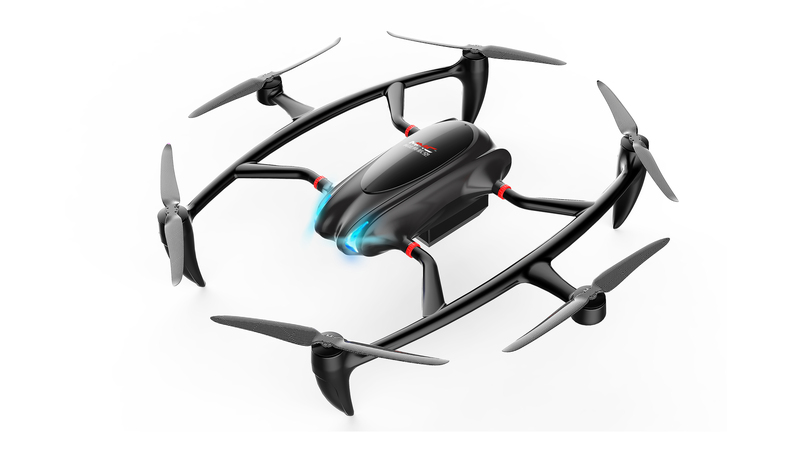 This would allow drones to fly for over an hour. Among the new battery technologies being researched are Zinc-air and Lithium-air batteries which have a much greater energy density than Lithium-ion batteries. Lithium-air batteries use oxygen as the oxidiser, and will potentially be 1/5 of the price 4/5 of the weight and have 5 times more more charge than Lithium-ion batteries. Aluminium- air batteries have allowed an electric car to drive 1,100 miles on a single charge (developed by the Phinergy company), because the metal is turned into aluminium hydroxide as the battery is drained the battery needs to be recycled after use. Cables are one possibility that can potential provide limitless flight time, they could provide an ideal source of power for localised recording but are limited by the length of the cable which would limit mapping missions. In May at the NAB 2016 conference 3DR announced the release of the Hoverfly Tether for their Solo drone which has a 150 ft-long cable. The system plugs into standard electrical outlets. 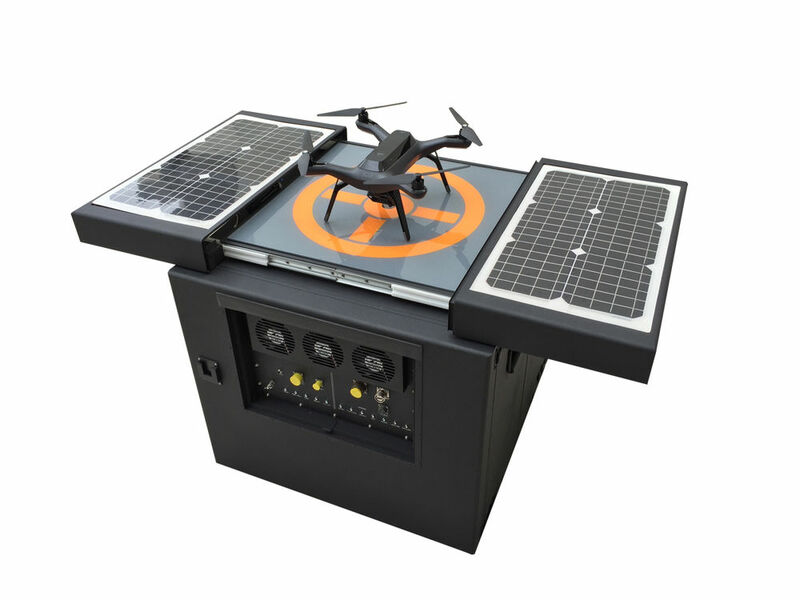 For recording at a distance from the nearest power source a recharge station such as the DRONEBOX by HUS Unmanned Systems can be used, it provides a mobile generator for wireless charging a drone on a landing pad. While the REMOBOX is also available which is a tethered version of the system. While their sister company, HES Energy Systems, is involved in the introduction of hydrogen fuel cells into UAV flight. They can provide a significant saving in weight and increase in flight time, by increasing flight time to hours rather than minutes. A number of manufacturers are developing the technology including the UK Intelligent Energy company whose work was discussed on an episode of BBCs Click. 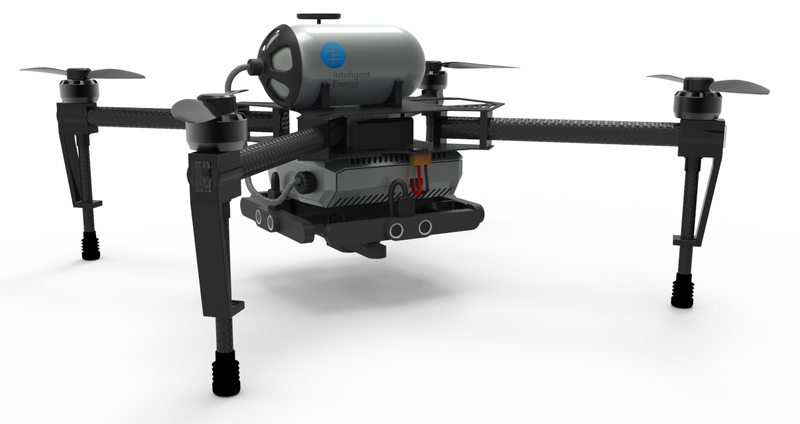 In April the drone manufacturer MMC announced the first commercially available hydrogen-fueled drone – HyDrone 1800 – with a flight time of over 3 hours and a flight radius of 100 km.